180fusion is a performance-driven, full-service digital marketing firm that has served the online marketing industry with excellence. 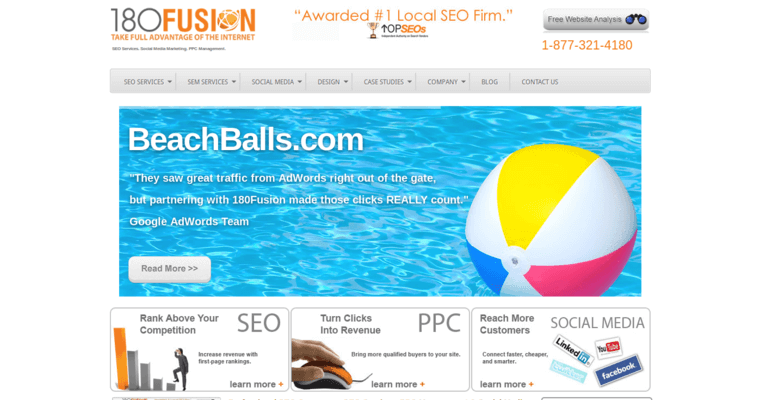 In particular, 180fusion is being awarded for excellence in the field of search engine optimization. 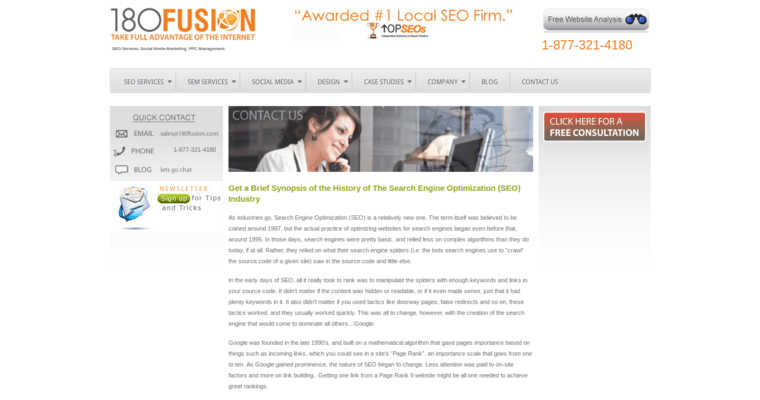 Unlike ordinary SEO firms, 180fusion avoids cookie-cutter SEO processes and shortcuts. Instead, 180fusion invests a lot of work on the front end. For starters, they build quality relationships with their clients. For this reason, they understand what their clients want to accomplish. Afterward, they perform thorough market research to identify their clients' ideal customers. That information helps them to identify relevant and valuable search engine keywords and queries. In the end, 180fusion delivers results in the form of steady streams of qualified search engine traffic to their clients' websites. The firm also designs holistic marketing strategies that leverage PPC advertising, social media marketing, content creation, reputation management, and other tactics to drive business growth.